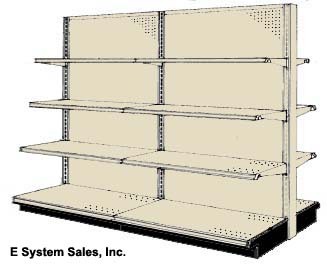 We need to know if you need Double Sided Shelving or Single Sided Shelving. 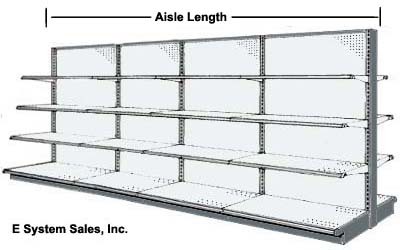 We need to know the over all length of each of your double sided shelving aisles or single sided wall shelving aisles. We need to know the height of each of your Gondola Shelving Aisles. 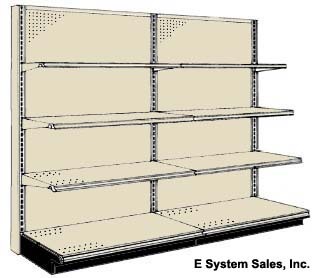 We need to know the base width of your lower shelf. We need to know the depth of your upper shelves and how many upper shelves you need. Once you have compiled all of this information please fill in our quote form or call 800 619 9566.